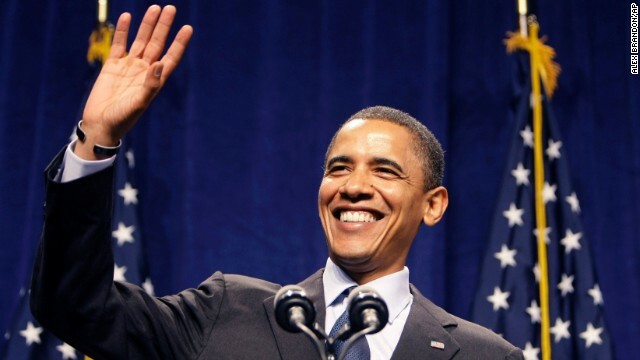 Washington (CNN) – President Obama is opting to stay dry. Ethel Kennedy, the matriarch of the Kennedy family, challenged the President to dump a bucket of ice water on his head as part of the increasingly popular Ice Bucket Challenge campaign to raise money for research into Amyotrophic Lateral Sclerosis (ALS) – or Lou Gehrig's disease. "The President appreciates Mrs. Kennedy thinking of him for the challenge – though his contribution to this effort will be monetary," Principal Deputy White House Press Secretary Eric Schultz said Tuesday. He added that Obama will make a donation to an ALS charity this week. In a Facebook video posted by Max Kennedy, the political family got together at their compound in Hyannis Port this weekend to participate in the challenge. After over 20 members of the Kennedy family dumped ice water on their heads, the group screamed, "We nominated Grandma Ethel." Ethel Kennedy, the widow of Sen. Robert F. Kennedy, said, "Welcome to Cape Cod, Mr. President. I nominate you," before dumping a bucket of ice water on her head. Obama is in Martha's Vineyard for a two-week summer vacation with his family. The Ice Bucket Challenge is a social media campaign that aims to raise awareness and money to combat ALS. Started by Pete Frates, who has lived with ALS since 2012, and his family, the campaign asks participants to dump a bucket of ice water on their head and then nominate their friends to do the same. Using the #IceBucketChallenge, the campaign has garnered national attention, with celebrities and athletes starting to participate. One other noteworthy Kennedy – Rep. Joe Kennedy of Massachusetts – took the ice bucket challenge last week. @Chris..E.Al: "I just know most of us will be glad when 0bamas term is finished up it will be nice to have a honest and honorable soul in the W.H. that takes the task seriously like it should be and not dumb down the office to a level never before seen in the history of the USA ." Laughable, when you consider all the righties complaining that President Obama is "too professorial." Laughable when you consider the last occupant of the White House routinely butchered the English language and now spends his time contributing to the betterment of the world by ... painting goofy pictures. Ice bucket challenge rules: Once you’re nominated, you have 24 hours to pour a bucket of ice water all over yourself (complete the ice bucket challenge). If you fail to do so, you then must donate $100 to the ALS Association. According to USA Today, Justin Timberlake, Matt Lauer, Martha Stewart and the Kennedys have all done it. They've taken the Ice Bucket Challenge that's helped raise $2.3 million for the national ALS Association since July 29. President Obama, thank you for donating to this worthy cause and for using your status to draw attention to this devastating and fatal disease. To all the righties complaining here, if President Obama had dumped a bucket of ice on his head, you would have complained he was demeaning his office. Just read another article that had posts from someone named "Sniffin." Typical unimaginative, lazy repub troll trying to trick the dimwits with sloppy language.